'Nursery School' ( Joseph Ghio, R. 1984). Seedling #80-291-P4. BB, 22" (56 cm). Late midseason bloom. Peach with pink infusion on falls; tangerine beard. 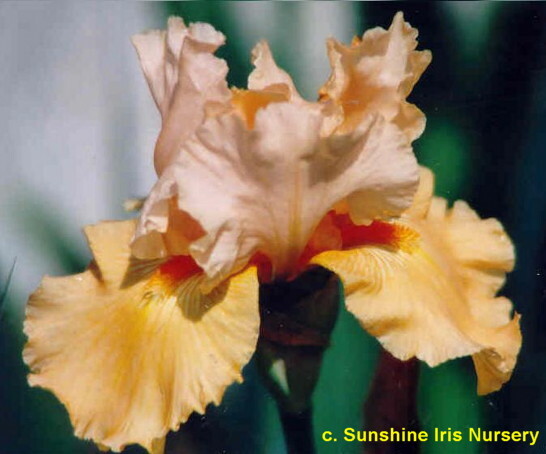 'Marmalade Skies' X ( 'Sun King' x ( 'Gold Trimmings' x 'Solano')). Bay View Gardens 1985. Honorable Mention 1987; Award of Merit 1991.